December is just around the corner and it is super chilly outside. I'm getting in the mood for Christmas already. I've just one more trip away for work so I'm looking forward to a few weeks where all my evenings are my own. Not entirely my own, of course. I'm looking forward to sharing them with friends and family at festive feasts, Christmas drinks parties, carol concerts, cosy girly suppers and celebratory gatherings in the local pub. Best of all, I'll be coming home to my own bed every night (...unless I get lucky... only joking (!)). I can't tell you what a joy that is. I have just one night away in 22 days. Bliss. Tonight marked the start of this non-travelling period. I had plans for tonight that involved clearing out the kitchen cupboards and sorting out the piles of mess about the flat. I tend to blame my general slovenliness on my long commute (2 hours each way) and constant travelling. It is a rubbish excuse really as I'm usually only away for two days at a time. Anyway, needless to say, the kitchen cupboards remain untouched and the piles of paper are still towering high. 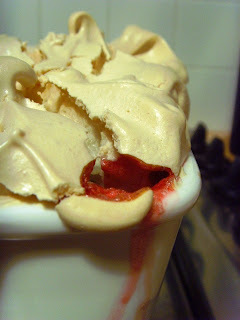 Instead, I poured a glass of wine and rummaged in the freezer for inspiration. Far too cold and wet to venture out to the shops, you see. 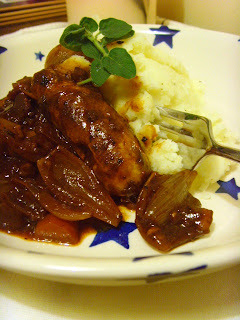 I found some sausages that I thought would do the trick, but didn't fancy the usual bangers and mash. Instead, I did a little chopping and made a lovely sausage casserole. 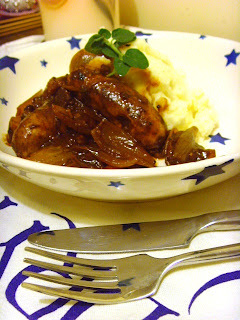 Served with a mound of creamy mash and some steamed baby cabbage, it was just the thing for a chilly night. 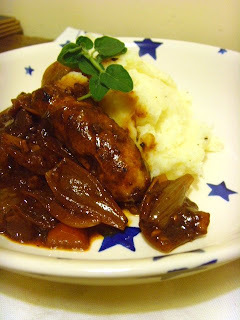 Super comforting and easy but just that bit more involved than standard bangers and mash! Here is the recipe for 2, but I made it for one. It is easily halved or doubled. 1. Pre-heat oven to 170C. Heat oil in a non-stick casserole and brown the sausages evenly on each side. Remove with slotted spoon and set to one side. 2. Meanwhile, skin the shallots. Cover with boiling water and leave for one minute before draining. This makes skins easier to remove. Pull apart into segments and chop one shallot into small pieces. Add to pan with garlic and finely diced carrot. Add pancetta or lardons and fry until the onions are starting to soften. Use a wooden spoon to scrape the sticky sausage bits off the bottom of the pan as you go. 3. 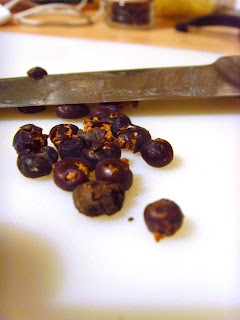 Crush juniper berries with back of knife or in pestle and mortar. 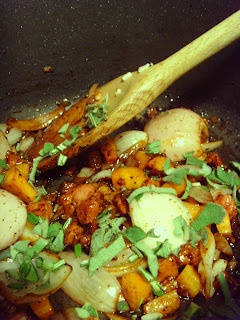 Add to pan, along with the chopped fresh herbs. Stir to combine. 4. Add sausages back to pan and add wine. Heat until starting to bubble and then add the tinned tomatoes. Stir and allow to bubble for a few minutes. 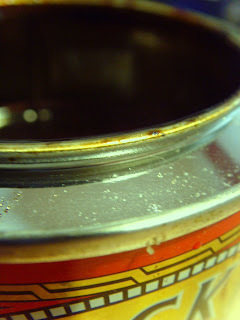 Add half a glass of water (or stock), season well and then place the lid on the casserole. Place in oven and cook for approx 40 minutes. Check in middle of cooking and add more water if necessary. 5. When you remove from the oven, check the sauce. It should have reduced and be quite sticky but still sauce-like. If too liquid, bubble and reduce on the hob. 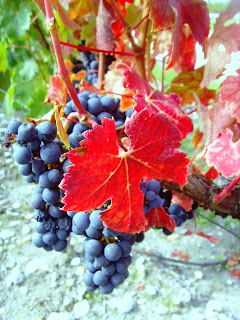 Taste and season to taste. Serve with a cloud of fluffy, creamy mashed potatoes and some green veg. There seems to be a lot going on at Food, Glorious Food! I've got lots to tell you about and lots to catch up on. Firstly, I'm pleased to say that my blogging by mail parcel arrived in San Francisco. The parcel went to Bonnie at Kumquat Connection. 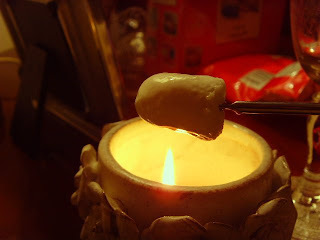 What a great blog this is - Bonnie and her friend Leigh live miles apart yet connect each week over a common ingredient. What a terrific way to keep in touch! Next to tell you is about the fun I had with my two littlest nephews when my mother and I went to look after them a couple of weekends ago. Aged two and one, they really are adorable! The older one took quite an interest in the goings on it the kitchen. Not only did he climb onto his chair to 'help' my mother making Shepherds' Pie, but he also enjoyed baking some cupcakes with his Auntie. He was very enthusiastic with making the icing and refused to let me help. This was not ideal but at least he was determined! 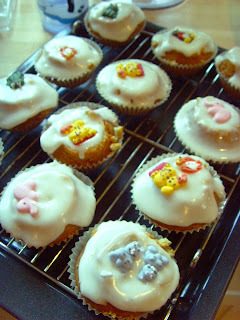 His favourite part though, was decorating the cakes with little sugar decorations that I'd bought. And then deciding who would get which one. His favourites were the frogs. I rather preferred the elephants. 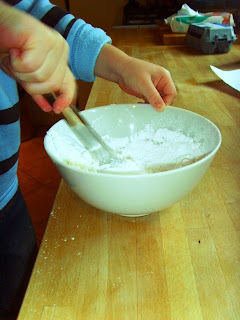 It was such fun and just shows that you are never too young to get involved in the kitchen. He was so proud when we'd finished and couldn't wait to show them off to his parents when they returned from their weekend away. Next thing to tell you is that I've been lucky enough to be given not one, but two lovely blogging awards. I am really so touched and only so sorry that its taken so long to get round to passing them on. Thank you, thank you! Firstly, Sam over at Antics of a cycling chef thought fit to pass on the 'E for Excellent' award. Sam hasn't been blogging all that long but already his blog is a favourite of mine. 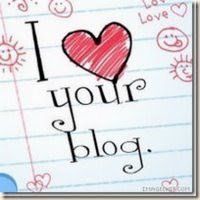 Secondly, the lovely Lucy at Teen Baker gave me the very lovely 'I love your blog' award. 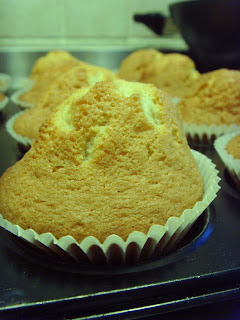 Lucy's blog is packed full of gorgeously tempting cakes and treats - I'd love a slice of any one of them. Just so many tempting bakes and cakes. 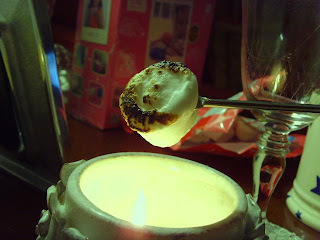 Such a stylish blog with gorgeous photos and tempting recipes. 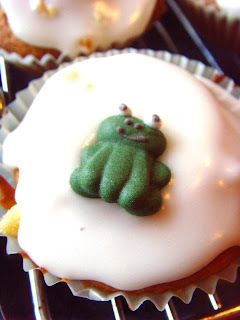 I've been enjoying the delights from Margaret's kitchen across the web since I started blogging - her blog has long been a favourite! A prolific and superb baker who is a wonderfully encouraging member of the food blogging community. I've a backlog of things to share (...as always). I was thrilled to be presented with a couple of blogging awards a week-or-so ago - I haven't forgotten about them and will post about them next. But I've got a folder full of of cooking to share too so thought that this should be a recipe post. This is a pudding that reminds me of when I was small. 'Apple snow' was something that my mother used to make - she reminded me of it recently when she cooked it for my nephew and niece. 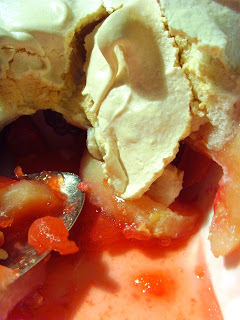 It is simplicity itself to make - lovely, comforting stewed apple on the bottom and crisp, crunchy meringue on top. At least, that is what it is like when my mother makes it. I made a slightly less successful version due to my stupidity. I know full well that only cooking apples (Bramley) will do, but when I discovered that the local shop had run out I somehow managed to persuade myself that eating apples would do. How stupid. Of course, they didn't cook down in the same way and whilst the pudding was tasty, it wasn't the 'apple snow' that I had been craving. I also decided to dabble with something that should be entirely simple and threw in some blackberries too. This was more successful, thankfully! 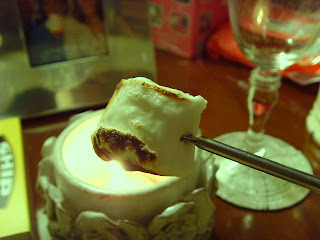 What you are looking for here is a crisp meringue rather than a marshmallow-y one. After cooking at a low heat, this was crisp on the outside but still quite soft and airy in the middle. 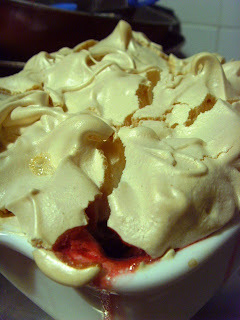 I've seen other recipes that do things differently - they cook the meringue very quickly on a high heat, or even just bronze with a blowtorch. I like to do things like my mother said though. It tends to be best. She certainly would not have been foolish enough to opt for eating apples. She knows best, you see. Incidentally, my mother doesn't bother to stew the apples first - as the meringue cooks for a good hour, the apples stew naturally during this time. 1. Pre-heat oven to 150C. Peel, core and chop apples. Toss with a little caster sugar, the lemon juice and rind. 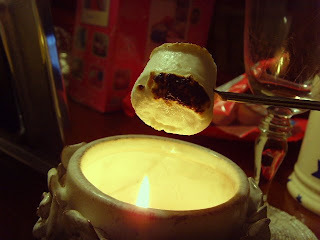 Tip into a small ovenproof dish. 2. 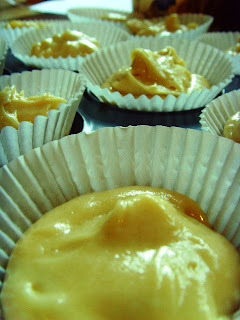 Whisk the egg white to stiff peaks, gradually adding the 4oz caster sugar as you get near the end. You should be left with a glossy mixture. 3. Pile the egg whites on top of the apples and then bake in the oven for around an hour. 4. Enjoy, perhaps with a little pouring cream. I've been without computer for the past five days. It has been a worrying state of affairs. I hadn't realised how wedded I was to my machine. Last night I came home planning to cook a particular recipe only to realise that the recipe in question was on the blog (rather than in my recipe file) and I had no idea of the quantities or ingredients required. The day before I wanted to look up cinema times and didn't quite know where to begin without trusty google. I'm sorry to admit it, but I really have been lost without it. Furthermore, I've been busy in the kitchen and yet unable to share my results. Worse, I know that you have all been busy in the kitchen and I've been unable to view the results of your cooking! So apologies for silence, I'll try hard to make up for lost time. One of my favourite things about this time of year is the abundance of game. Better still, it can often be picked up quite cheaply. Depends where you are of course and it is sadly true that many London butchers often charge a premium. Fortunately, there is a good game dealer at my local farmers' market and I picked up a very thrifty brace of partridge last Sunday. Perfect! 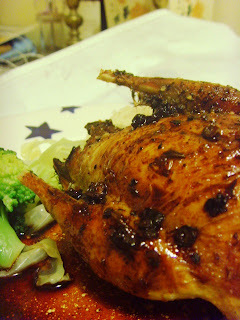 Roast partridge for one on a weeknight might seem something of an extravagance, but really it isn't at all. It is virtually no effort (a simple shepherd's pie would be far more time and effort-consuming) and cooks pretty quickly too. What is more, a partridge is just right for one accompanied with lots of veg and (in this case) a pile of buttery parsnip mash. 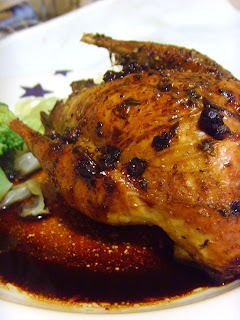 I think that I got the idea of smearing the bird with juniper-infused butter from my beloved Nigel. I adore juniper. Probably mainly because it reminds of one of my favourite drinks (!). Anyway, I think it is brilliant with game (and cabbage, for what it is worth). If I'd had it, I would have wrapped the birdy in some nice bacon too in order to keep from drying out. As it was, I didn't. It worked out fine though - not too dry. 1. Pre-heat oven to 180C. Roughly chop the onion into a couple of wedges and pop into the centre of a small roasting dish. 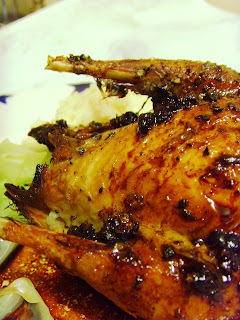 Drizzle with a little oil and pop in the oven whilst you prepare the bird. 2. Crush the juniper berries with the back of a knife (or in a pestle and mortar). Mix into the butter, along with a little salt and pepper. 3. Rub the butter all over the skin of the partridge and rub a little inside for good measure. Into the cavity, stuff some thyme and a bay leaf. 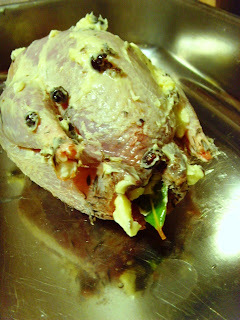 Remove roasting tin from oven and place the bird on top of the onions. Roast for around 25 minutes. 4. Meanwhile peel and chop the parsnips and boil until tender. Mash together with butter, a dash of milk and the spices. Plenty of salt and pepper too. It won't be as smooth as potato mash - I like it this way, but if you prefer, blitz it in a liquidiser. 5. Remove the partridge from the pan and leave to rest in a warm spot for a few minutes. Meanwhile, de-glaze the roasting tin over a high heat with some Madeira. Bubble to reduce and serve drizzled over the partridge, with the parsnip mash and some green veg. 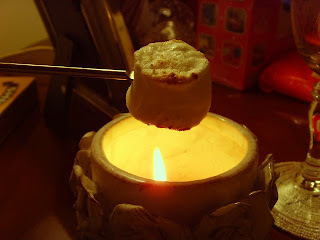 Toasting marshmallows over a flame on a blustery November evening takes some beating. Yes they're too sweet. Yes they are too sticky. Yes they're really for children. Yes I should've removed all the background debris before I took the photographs. But you know what? I've been a bad little blogger. Lynn has just embarked on an exciting new career as a food writer and broadcaster. She has a weekly slot on the newly-launched Flag Radio, an internet-based radio station. Her first cookery slot was today, at lunch time, appropriately. And guess who her very first guest was?? Yes, it was me! Lynn interviewed me earlier in the week - we had a great chat all about one of my very favourite topics: wine! We chatted about how I got started in the wine business, my favourite wine styles and food and wine matching. In particular, Lynn was interested in my tips for Christmas food and wine matching. So - why am I such a bad blogger? Well... I neglected to tell you all about the interview in advance. Had I been more organised, I would have sent you over to www.flagradio.com in time for you to listen to Lynn's very first broadcast. Anyway, if you are around next Monday at 3pm, then do tune into Flag Radio to hear Lynn's next cookery slot! STOP PRESS: the interview will be repeated at 3pm this Friday! Do tune in, if you have a chance. If you miss it, you should be able to find a podcast of the interview on the website from next Monday. 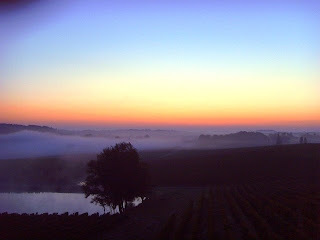 Incidentally, in case you are wondering what relevance these photos have, I must tell you that they are photos from the vineyards of Bordeaux. 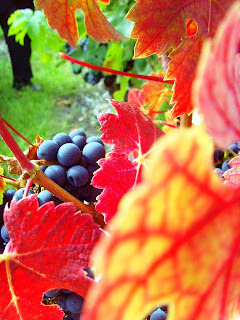 I visited last month, just as harvest was beginning. 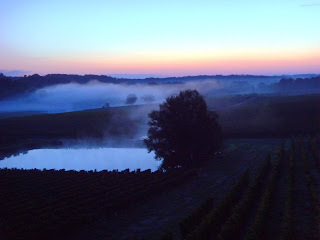 The view over the vineyards from my hotel room was spectacular, especially at sunrise when the vineyards were misty and magical. At I type, there is a lovely spicy, Christmassy smell wafting through my flat. 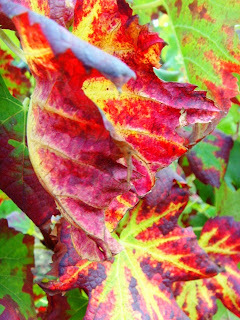 Yes, it is that time of year again - I can hardly believe it. Black treacle, sherry, dried fruit, prunes soaked in Port, dark Oxford marmalade, cinnamon, nutmeg, orange zest and dark muscovado sugar - just a few of the heavenly ingredients I've been playing with this afternoon! 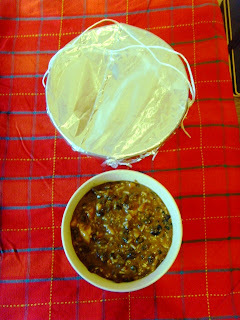 In an ideal world, I'd have made my Christmas pudding a month-or-so ago, but I didn't get around to it. I'm not too concerned thought - I had a look back through the archives and found that I'm ahead of last year. 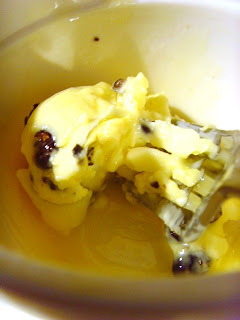 For those who've never made their own Christmas pudding before, I urge you to give it a go. Homemade really is best and it is really quite a simple thing to make. Sure, there are a lot of ingredients but method-wise, all that is needed is a some gentle stirring. Hardly taxing. 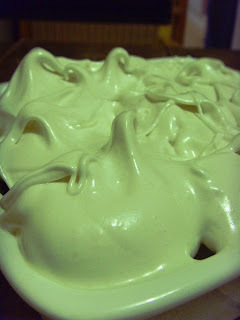 Perhaps the one tricky factor is that amount of time the puds take to steam - I do mine for 6-8 hours. It might sound like a long time, but it has always worked for me. So, unless you are braver than I, you'll need to stay in for that length of time. I have in the past, steamed the puds overnight but today I thought I'd enjoy spending a day just quietly pottering about at home whilst the puds steam quietly away. If the mention of steaming is putting you off, please read on. You don't need any kind of fancy equipment to make this pudding! I just do mine in a large lidded saucepan, standing on an upturned saucer. Works a treat. 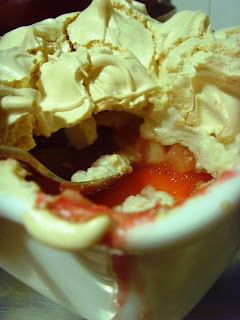 This is a picture of last year's pudding - a dreadful shot in which I resorted to the flash. Always a mistake. We also appear to have forgotten the customary sprig of holly which is a shame. At least we had it on the obligatory festive-themed plate. This year, I followed my tried-and-trusted recipe which has never yet failed me. The only thing I did differently this year was to soak the fruit overnight in Pedro Ximenez sherry. Nigella suggests this in her new Christmas book. I happened to have some to hand and so it all made perfect sense. I don't plan to repeat the recipe here, you can find it in last year's post. One of the great things about food blogging, I find, is that you have a permanent online source of your own favourite recipes. When hunting for the ragged bit of paper that is home to this recipe I was dismayed when I couldn't locate it. Thank goodness I posted it last Christmas! As usual, I've made one large pudding (for my family) and one small pud that I'll probably give away as a present. All I have to do is decide upon the lucky recipient! 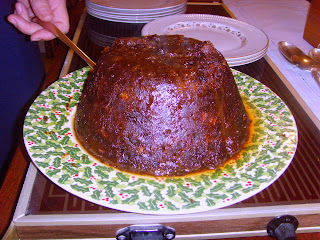 I can't wait to sample the pudding on Christmas Day with a generous dollop of brandy butter, flecked with orange zest. How do you like to eat yours?